The Oxford Imps have been a fixture of the Oxford art scene since 2004, putting on a new performance each week at the Wheatsheaf on Oxford’s High Street, as well as a show each year at the Edinburgh Fringe Festival. Profile caught up with performers Dan Squire (DS) and Megan Morgan (MM) – who also happen to be the director and producer, respectively, of this year’s performance in Edinburgh – to learn about the ins and outs of the world of improvisational comedy. Could you give us a short overview of what The Oxford Imps are, and what do you do? 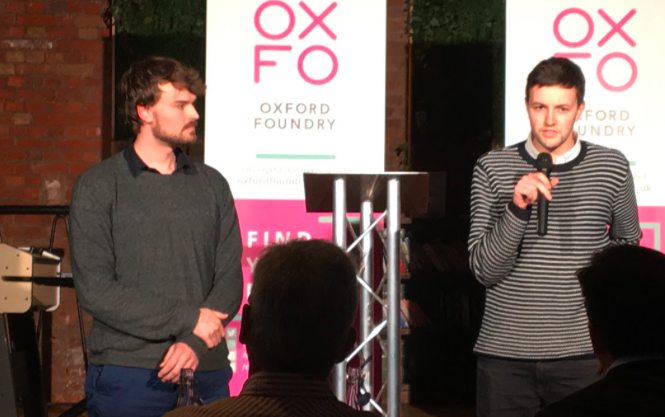 DS: The Oxford Imps [perform] improvised comedy…which means comedy that is made up entirely on the spot, based on suggestions from the audience. That might include short games like sketches or puns, or longer pieces like improvised musicals, genre novels, or Shakespeare plays…The structure of our performances varies for each show, but we try to include a mix of different types of games so that audience members get something very different every time they watch us. How do you prepare for an improv show – is there any particular way you rehearse? MM: There are some basic rules to improv, which you only get better at through practice. The most important one of these is called ‘Yes, and…’ This means that whenever another improviser says or does something on stage, you accept it and incorporate it into what you’re doing. This helps us to cooperate quickly and not contradict each other. If a performer points out how cold it is, everyone else might start shivering or rubbing their hands, for example. So most of our rehearsals are about listening to what has been established on stage, and reacting to it. In some cases we pick aspects of that to focus on, like building world details, developing characters, or working with objects (in mime), but ultimately it all just comes back to active listening. We also practice the same games we’ll do on stage by giving each other pretend audience suggestions. Although the comedy is improvised, there is often a structure that needs to be learned in order to make the show look professional. Where should we stand during a song? How do we introduce a game to the audience to make sure they understand what’s going on? These small details might go unnoticed by an audience member, but if we didn’t do them you certainly would notice the difference! What is the process of developing a show that relies so heavily on spontaneity? DS: Improv relies heavily on trust – if I do something wacky on stage, I need to know that my fellow performers will incorporate it and not leave me hanging (as per the ‘Yes, and…’ rule). So it’s vital that we rehearse together regularly, because we start to learn how each other think and react. MM: This also applies when we devise a longer show, like our recent Improvised Cabaret in Hilary Term. We worked with our director on how to incorporate cabaret tropes into improvised games or scenes, while still giving plenty of room for audience suggestions to influence the performance. How did you become interested in improv? DS: I came to improv via stand-up comedy, which I’ve been performing for just over five years. It’s a completely different skill though: you’d be surprised how many stand-up comedians are afraid of doing improv, and vice versa, so it was a steep learning curve for me. 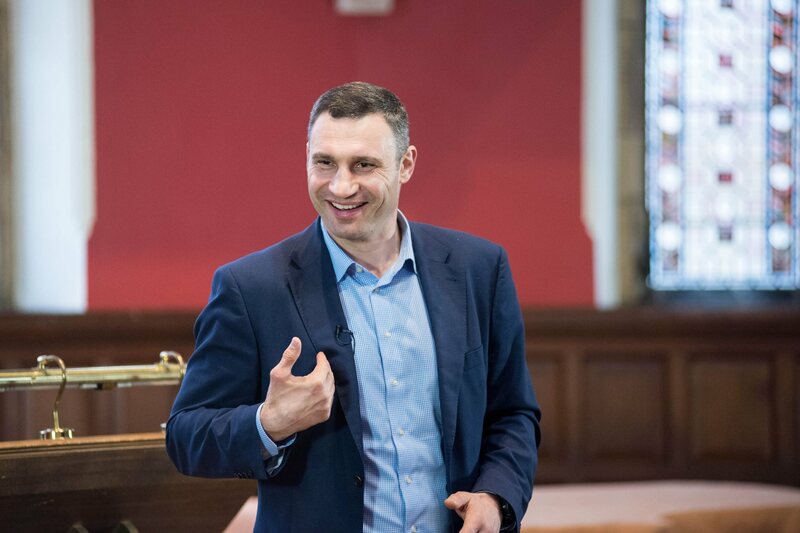 I now spend more time doing improv than stand-up – it’s easier to get comfortable performing the same material in stand-up, whereas you never stop pushing yourself at improv gigs. MM: I’ve done drama almost as long as I can remember and improv games were often used as warm-ups (and I loved them!). When I joined my secondary school, I joined our Improv Club there and later ran it, so when I arrived at Oxford and saw the Imps were auditioning I thought it’d be worth a shot. I hadn’t really performed improv in front of an audience before so learning that element—rather than solely playing with the medium—has been great. 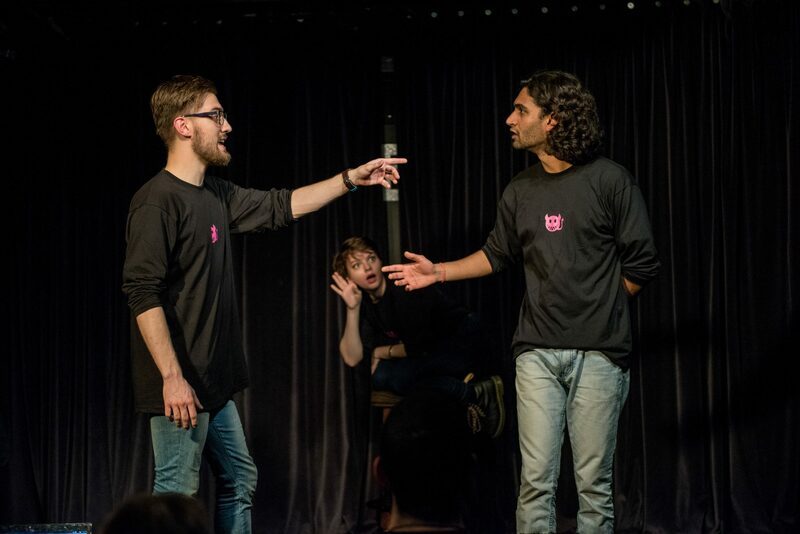 What is your favourite part of performing improv? How does performing improv differ from performing a more scripted show? DS: Personally, I love improvising songs and raps. You put even more pressure on yourself, because you not only need to think quickly but you are also trying to rhyme and do it in time to the music (let alone be funny). But it means that when you get it right, the pay-off is that much better! Compared to scripted sketches or drama, I feel much more free when I’m improvising. You don’t have to remember your lines or anything, so it’s less stressful before going on-stage. And if anything goes wrong, it’s already forgotten by the next performance – you’ll never do the same thing again. MM: I think my favourite moments are in longer form improvised plays or musicals, when you can feel the strands of the story coming together and really feel how you’re working collectively with the other six or so improvisers on stage. Working with other actors is also one my favourite elements of scripted drama and comedy so the feeling that you’re also creating something together organically is wonderful. How much do you end up relying on costumes/props/staging? DS: Because we don’t know what’s going to happen, it’s almost impossible to use props or staging – the last thing we want is for the audience to think we had pre-prepared anything. We use mime to create the world on stage, instead of props. However, our musicians and techies are also highly-talented improvisers, and we rely on them too. Whether it’s underscoring music for a scene, using lights to emphasise the action, or just generally making the show look and sound fantastic, they are often the unsung heroes that raise the Imps to the next level. A well-timed sound effect can often get the biggest laugh of the night! MM: We have experimented with use of some costume and props though and one of the fun things about also improvising longer shows, like our Cabaret, is that we can also explore other possibilities based on whatever genre we chose to play with on that occasion. We had a spotlight, make-up and costumes for the Cabaret, which really added to the atmosphere. What would you say is the most difficult part of performing? What about of creating/directing a show? DS: It’s a daunting prospect to go on stage and rely only on your wits, but the main thing to do is show confidence. You can make a bad joke work by delivering it with confidence, or you can get no reaction for a really good joke if you appear nervous. If you act like you know what you’re doing, everything falls into place. MM: I’d agree with Dan, committing is key. The most difficult part for me—not knowing what you’re going to do until you do it—is also the reason I love improvising. You have to get out of your own head, which is daunting but ultimately freeing. When creating or directing a show, one crucial challenge is writing a setlist each time which balances all the different performance styles and skills of our improvisers. How unique is each show? DS: Each show has a different cast of performers, a different combination of games, and an audience full of unexpected ideas for us to incorporate. For instance, if we have roughly 20 Imps available, playing any one of 30 games, each involving 3 performers, that gives us almost 35,000 different permutations. And that’s before we even factor in the audience suggestions, which can be as wacky as their imagination can be! The possibilities are quite literally endless. Take us through how you go about constructing a new character, storyline, or joke based on an audience suggestion. DS: It’s about brainstorming as quickly as possible. If you’re trying to make a one-liner or a rhyming couplet with the suggestion “fish”, for example, you could think about types of fish (perch, snapper, shark, eel) or parts of a fish (fin, scales, gill) or even think outside the box to related topics (aquariums, Finding Nemo, fish fingers). Then work backwards from there, looking for double meanings and similar sounding words. Which European leader is the best at fishing? Angler Merkel. For a scene you’d do the same thing, but thinking about relationships between characters. An obvious one might be two friends fishing on a riverbank. But it’s often fun to play with a strange or surreal concept. Maybe you’re animal rights campaigners outside Seaworld; perhaps you are a restaurant diner complaining to the waiter about a disappointing seafood dish; possibly you’re the last survivors in a post-apocalyptic world where the fish have taken over. Have you ever received any particularly strange and/or difficult audience suggestions? DS: Personally, in my very first show I had to improvise a rap about a ‘mannequin leg’. But my favourite was when the audience were asked for a time period to set a scene in, and a man gave the suggestion ‘Medieval Belgium’. Only in Oxford! Has there been a favourite show/moment you’ve participated in? DS: Longer games, like musicals or Shakespeare always stand out for me as highlights. It’s where we really get to stretch our improvising muscles. In the last six months we’ve come up with musical shows including Braggadocious and Jelly Bean, and who could forget Lust, Stabbing, Igloo? MM: Braggadocious was a great musical for me too; it was in the first show of Trinity (so after a bit of a break) and it was wonderful to be onstage and feel how much performance practice had paid off. When a song goes well, especially group numbers, the buzz of layering harmonies or lyrics on the spot, the trust you feel between yourself and the others onstage is incredible. Is there anything in particular that you draw inspiration from when performing? When directing? DS: I listen to a lot of audiobooks, so as a performer I always try to pick up interesting phrases and accents. After ploughing through 48 hours of Gone With The Wind, I developed a pretty good feel for the voice of a Southern Gent. And at the moment my 1920’s aristocrat voice is coming along, as I’m reading a lot of P.G. Wodehouse and Evelyn Waugh. But you can’t go on stage with the intention of shoehorning these things in – it’s just about broadening your vocabulary. MM: Anything can be inspiration, really. An overheard conversation on the street, books, theatre, TV shows, songs…You name it, it could find its way into a scene (and often does). Regarding your show at Edinburgh Fringe: Is there anything you can tell us about what sorts of performances you will be putting on? DS: The short answer is, it’s all improvised so I don’t know! But as a general rule, Edinburgh is a showcase for the Imps and we have a strong reputation at the Festival – so I’ll be focusing on building on that tradition by putting on the most energetic, impressive and fast-paced show that we can. MM: If you’ve seen and enjoyed our shows at the Wheatsheaf then you’re likely to enjoy our Fringe show too. As Dan says, we hope our energy and enjoyment of performing and interacting with each other and the audience will be infectious. So if anyone is up in Edinburgh this summer, it would be lovely to see some of our wonderful Oxford audience!